Company and team culture are hot topics in most businesses today. How do you build teams that work together to produce the greatest results? The Culture Code: The Secrets of Highly Successful Groups explores just that question. Here’s a look. Building highly successful teams takes work but it’s well worth the investment. 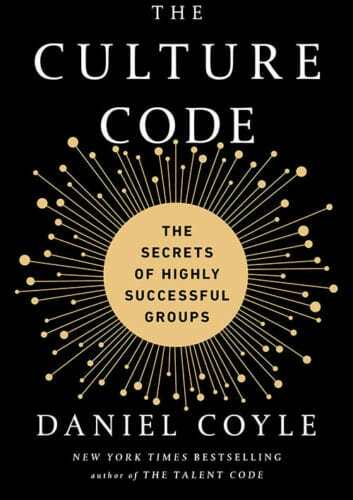 In The Culture Code: The Secrets of Highly Successful Groups, Daniel Coyle takes us inside numerous organizations that have built teams with a culture to succeed. If you provide these three ingredients and nurture them, any organization can create a wonderfully successful culture. By building safety, we can allow people to feel comfortable contributing without feeling their ideas or actions will be negatively judged. It allows people to give more and be more committed to the team. Sharing vulnerability lets our guard down, shows our human side, and allows others to do the same too. By showing we’re all vulnerable, team members feel more open to share failures and everyone learns from from them. When we establish a purpose it gives everyone an understanding of our goal and what we’re working towards. The impact culture has on organizations abilities to achieve beyond-standard levels of performance is now recognized. It’s why we see so many investing in culture, where it was largely ignored before. The Culture Code gives real-world examples and easy to follow advice for anyone looking to build an excellent culture within their organization. Pick up your copy of The Culture Code: The Secrets of Highly Successful Groups by Danial Coyle on Amazon now and begin building an excel your team and organization.